So, are you familiar with it? Zero – Point Energy, that is. According to Dave Farina, the brainchild behind Simulated Sun, it’s the minute energy irrevocably contained within the vacuum of space, from which particles emerge and vanish, fluctuations within the quantum foam. If all that sounds Greek to you, here’s his song “Zero-Point Energy,”premiering on Psychedelic Baby Magazine, along with an insane music video that’s as mesmerizing as an iTunes visualizer. It’s hard to look away from and has plans to take your eyes and mind somewhere they might not have otherwise been planning on going this Friday morning, so buckle up. Simulated Sun is the comprised of Dave Farina, best known as the prominent science communicator behind the YouTube channel “Professor Dave Explains”. Though his professional life is dedicated to science, music has been his true passion from a young age. Beginning as a classical pianist, he switched to drums and ethnic percussion in college, going on to play drums for a variety of bands in the decade that followed, most notably the Indie-Americana outfit The Lonely Wild. 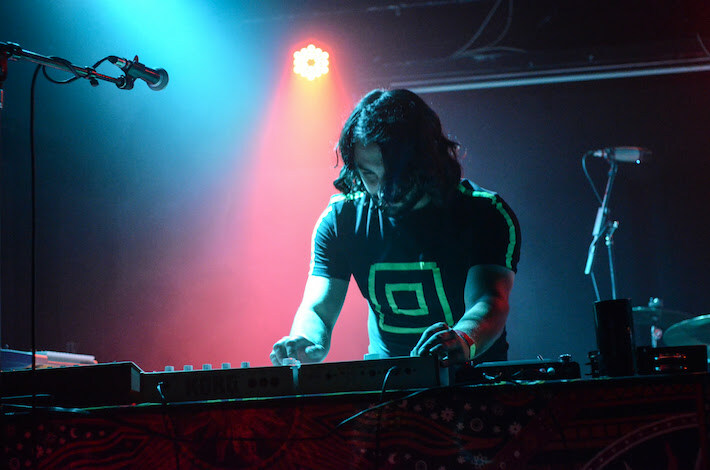 He now emerges from behind the drums to front a new project on synth and vocals, drawing influence from classic and progressive rock, as well as modern synthpop and electronica, all while ruminating on themes in science and technology. Apart from blending futurism and nostalgia, Farina’s chief concern is revitalizing the current approach to live performance, by strongly contrasting the “press play” mentality embodied by many contemporaries. With a Zappa-esque lineup of young scholarly musicians rounding out the ensemble, Simulated Sun is nothing if not bold in its execution of Farina’s forward-thinking material. Episcopal Cathedral to Offer Interfaith Experience on December 2nd.